The latest reports surrounding the Apple iPad Mini claim that the as yet unofficial tablet from the fruity giant will hit store shelves 10 days after its launch, starting at a leaked price of €249. Industry speculation holds that Apple would try to undercut the market with the low asking price, but also start with a not so generous 8GB Wi-Fi version. Both Google and Microsoft also have events scheduled around the same time as Apple’s scheduled press conference, with the search giant expected to showcase new Nexus products (probably including a budget tablet, or a 10-inch device), and the Redmond giant is expected to make Windows Phone 8 related announcements. The Surface for Windows RT will also begin shipping on October 26. The competition for the much-rumoured iPad Mini is expected to be intense, with other relatively low-cost tablets from major manufacturers already in the market (such as the Google Nexus 7 and Amazon Kindle Fire HD), the Microsoft Surface for Windows RT tablet, and, as we mentioned earlier, the possibility of a new Nexus tablet from Google. With the first generation of Windows tablets entering the market, customers will for the first time since the iPad launched be given a wide choice of platforms to choose from. All this of course, will precede the holiday season, further heightening anticipation and spending. 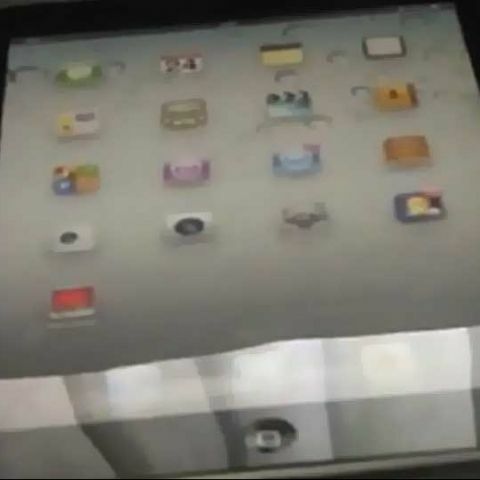 For now, not much is known about the new iPad Mini, except that it is expected to bear a 7.8-inch display. 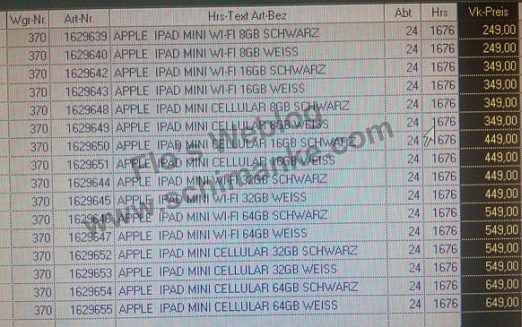 Leaks also reveal pricing of the 16GB, 32GB, and 64GB models, which are indicated to be €349, €549 and €649, for the Wi-Fi only models. As with previous Apple products, the U.S. pricing is expected to be the same, ranging from $249 to $649. The iPad Mini will also ship in black and white colours.